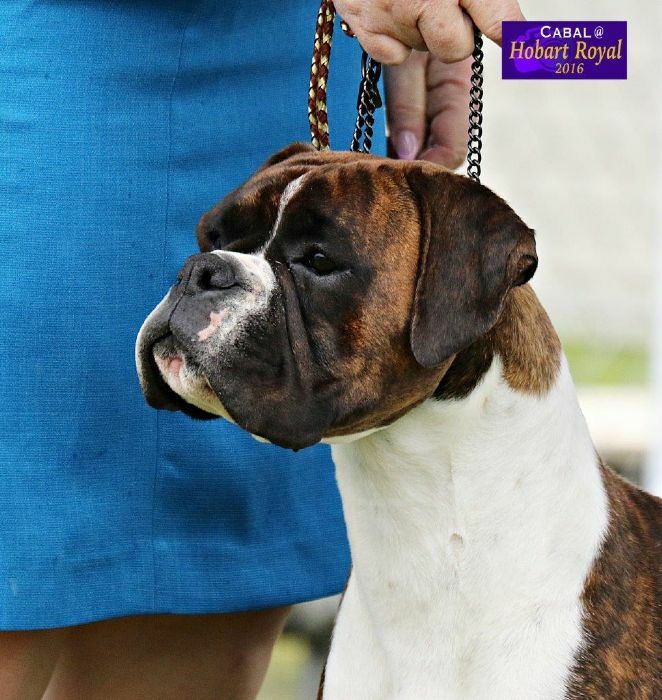 Buzz achieved her Championship in strong competition, along the way picking up BIG and many classes in group. She is a cheeky little monkey with a fabulous attitude. 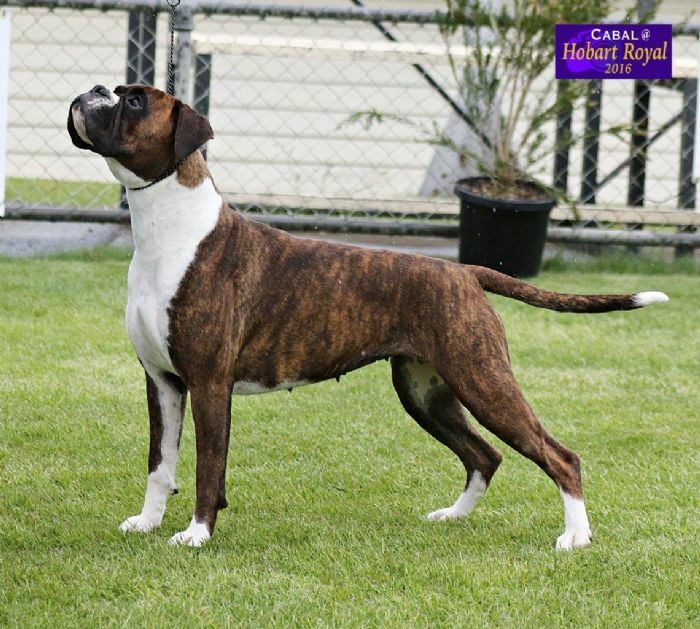 Buzzy recently had her full heart tests (Auscultation, Echocardiogram and 24hr Holter Monitor) by Veterinary Cardiologist Dr Geoff Nicholson and was declared to have no abnormalities. 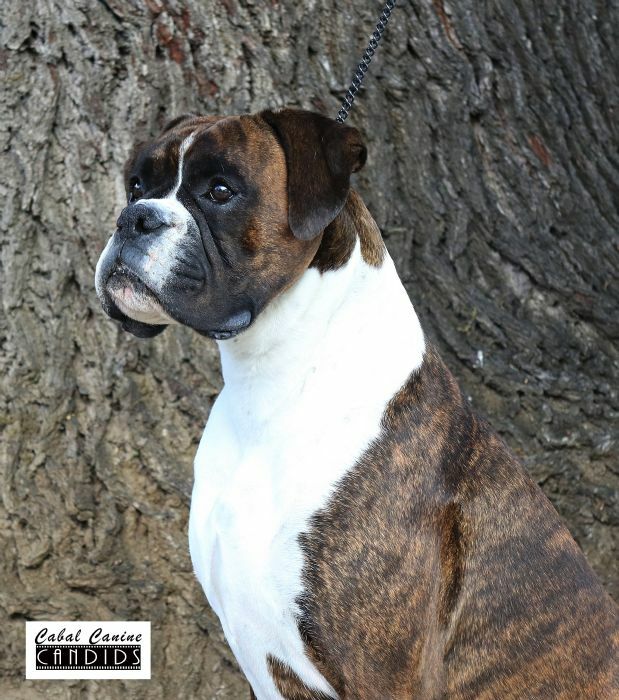 We are thankful to Faye & Dave Crooks and Elaine Davies & Lucille Corbett for allowing this mating to happen and look forward to the future with the blend of the best of two very experienced Boxer kennels.